There is something logical about addiction. But it’s still insane. 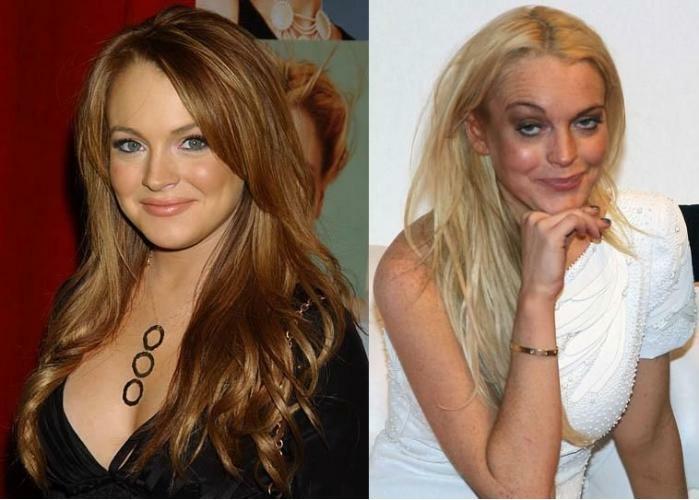 Lindsay Lohan before and after addiction. The math is simple: I crave, I use, I stop craving. I withdraw, I use, I feel better. Simple and elegant logic. But it is also insane. I crave, I use, I stop craving – but that is all that matters. I run over people, use people, fail at nearly everything, get in trouble with the law, abuse others, and harm everyone in my circle of influence while I am killing myself in the process. None of that matters in order to fulfill the simple, elegant logic of the obsession. At some point the high is no longer a choice but a shackle. A prisoner has no more choice to get out of a prison than an addict has to get out of addiction. To get out of prison you need help from the outside. You need enough humility to plea for help and even satisfy the demands of the system just to taste free air. Simple logic. Simple insanity. Simple humility. Addiction is so simple and so logical that it is a near hopeless condition. It is almost too simple for the mind to comprehend. ← Will College Sell Students? The only path out of addiction is to admit defeat. I can’t beat this without serious help. Andrew, I believe deep down you have what it takes to break this cycle if others can do it so can you. Never give into it, that’s part of the disease that keeps you coming back like a dog returning to his vomit! When I say “defeat” I mean that we cannot make a choice, try to get sober on our own, and then expect that to work out very well. But an addict will not reach out until he or she is at then end of the rope, truly broken, sick and tired of being sick and tired, hits bottom, etc. Able to say Thy will not my will. Hope that makes sense.